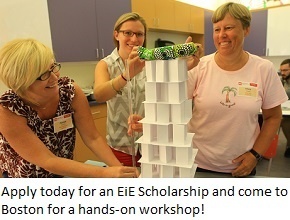 We’re very pleased to announce that we're investing in a new opportunity for elementary educators who want to integrate engineering into their classroom instruction: the first-ever EiE Scholarships. Applications are being accepted now through Dec. 16th 2015 for the first round of awards; we’ll announce the recipients in late January 2016. 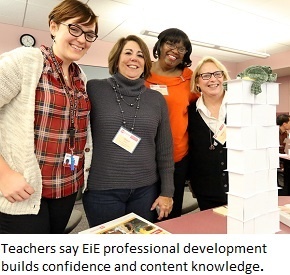 On a sunny day this past August, the Engineering is Elementary (EiE) classroom at the Museum of Science, Boston was filled with laughter as elementary teachers from schools across Massachusetts tested the tabletop towers they'd built from index cards. Could such lightweight constructions support a small stuffed animal? 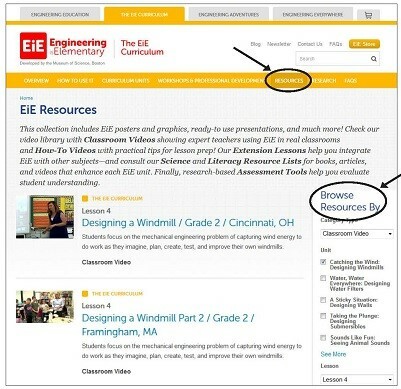 The exercise was one component of “Everyone Engineers,” a workshop that introduces educators to the EiE curriculum. 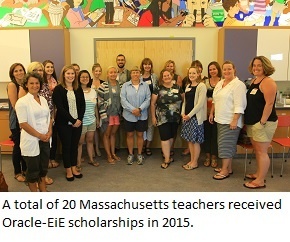 We host similar workshops all year round, but this one was special: All of the participants were here as scholarship recipients, selected through a competitive process to receive everything they needed to implement EiE in their classrooms . 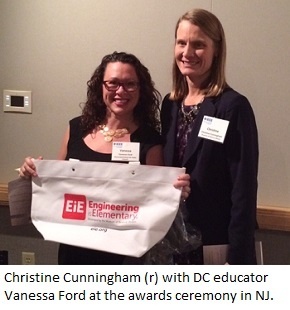 . . including this professional development experience.